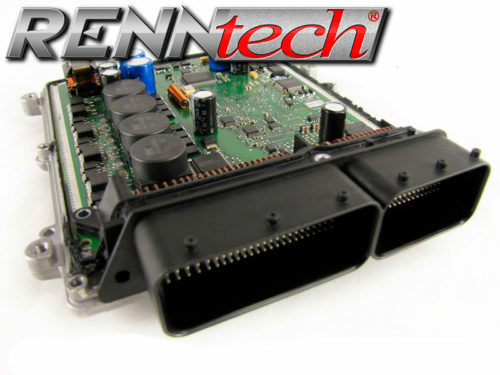 With the proprietary RENNtech ECU Plus Upgrade the C205 – C 43 AMG Coupe gains up to +41 HP and +62 LB-FT, based on power numbers measured by RENNtech. Please note that the Mercedes M276 engine performance when measured, obtains higher numbers than rated from factory. The maximum power number reached with the RENNtech ECU Plus Upgrade for the C205 – C 43 AMG Coupe is 416 HP and 460 LB-FT.
Mercedes M276 engine performance when measured, obtains higher numbers than rated from factory. 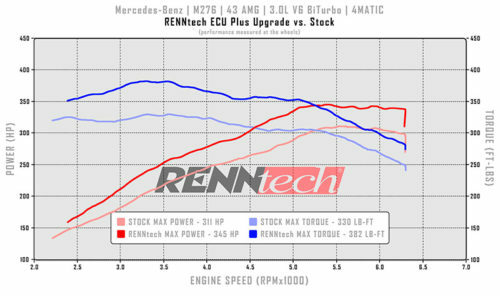 Crank Performance Numbers are calculated with a 17% Drivetrain loss on 4MATIC vehicles. Our numbers will be dependend on conditions and fuel quality. 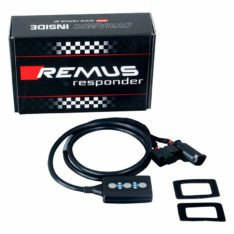 93+ Octane gasoline is mandatory with this Performance Package. 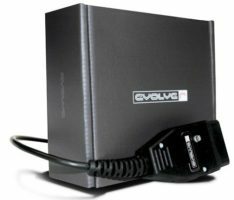 Due to fuel quality problems, not all states can be supplied with the full power Upgrade. Please call for detailed info +1-561-845-7888. 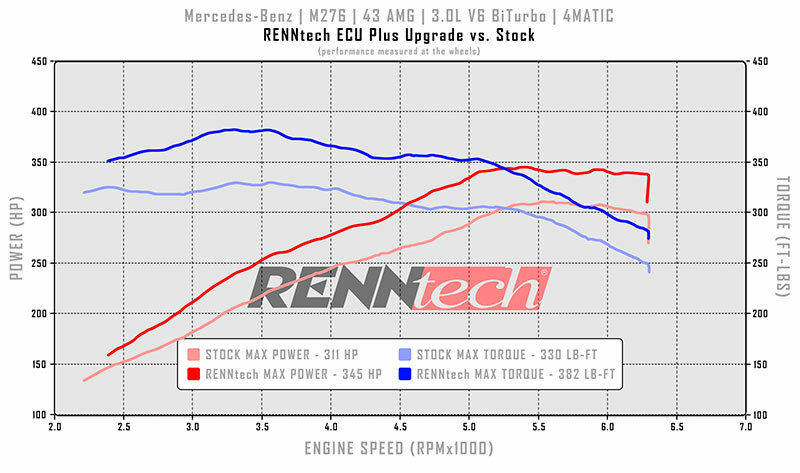 Mercedes M276 engine performance when measured, obtains higher power numbers than rated from factory.